Could there be a British Wave hitting South Korea? HomeNewsCould there be a British Wave hitting South Korea? 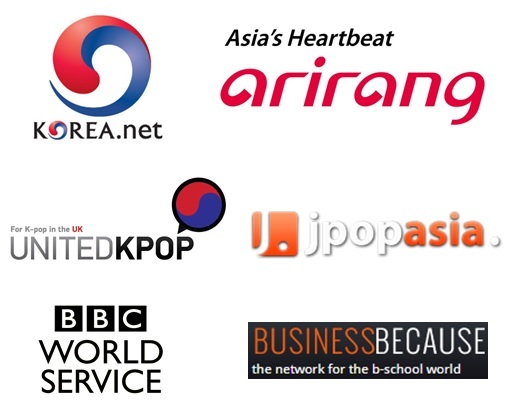 April 5, 2014 1 Comment on Could there be a British Wave hitting South Korea? Although many Koreans come to study and work in the United Kingdom, relationships between South Korea and our country have not been that close. 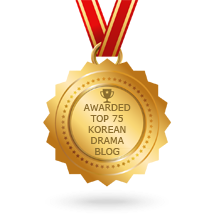 But in the past two years, things seem to have changed radically – especially in South Korea. Indeed, while the Korean Cultural Centre UK has been very actively promoting Korean culture for the past decade, the British Embassy Seoul and the UK Trade and Investment only launched a dedicated British culture festival in 2012. 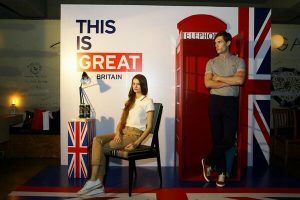 This year, the GREAT Week South Korea (referring to Great Britain) ran from March 31st to April 4th on Garosu-gil, Sinsa-dong, and the UK delegation featured an impressive number of British companies (45) across numerous industries including creative, retail, luxury, and food and drink sectors. 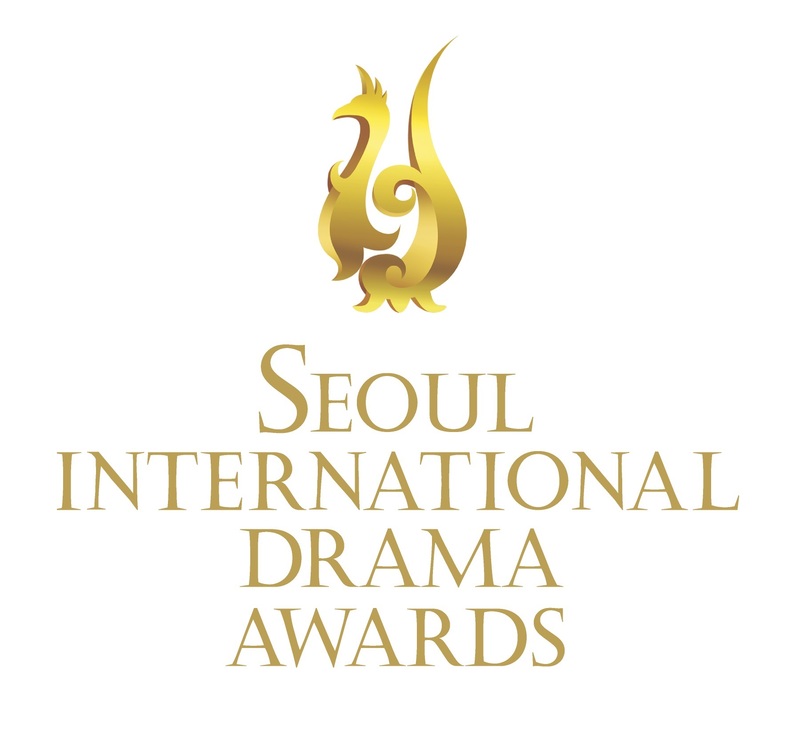 The event has certainly gained strength and appeal after South Korean president Park Geun-hye’s visit to the UK last November 2013 to mark the 130th anniversary of the establishment of diplomatic ties between South Korea and the United Kingdom. 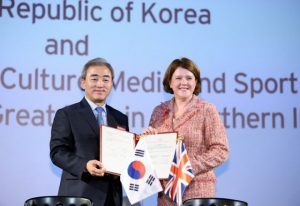 At that occasion, a memorandum of understanding was signed between the Korean Ministry of Culture, Sports and Tourism and the British Department of Culture, Media and Sport to foster collaboration in the creative industries. While President Park attended the London Korean Film Festival, acknowledging the influence that Korean cinema has gained in the British islands, British audiovisual creations have also gained grounds in the Korean peninsula. 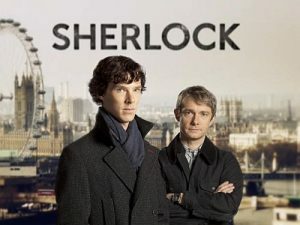 That is especially the case with the BBC’s Sherlock Holmes series which has become so popular that the Korean trailers (for the channel OCN) even enhanced one specific element that Korean viewers love: emotionality and love-focused plots. But this time, unexpectedly was between Sherlock Holmes (Benedict Cumberbatch) and his associate, John Watson (Martin Freeman). 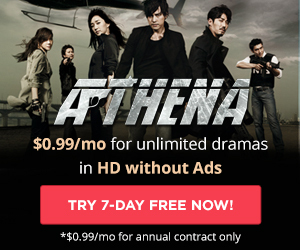 The trend for British dramas does not stop there as BBC Worldwide just sold The Musketeers to KBS, the largest TV network in South Korea! Quite similarly to the Korean Wave, what we could call as the “British Wave”, driven by the success of British TV dramas, has started to generate increased interest in all British products, that especially correspond to the four themes elected for promotion by the British government: Fashion is GREAT, Food is GREAT, Pubs are GREAT, and Creativity is GREAT. We look forward to further developments and strengthened ties between our two countries.